It seems contradictory but it's actually right - the trash byte message is about the \x0200\x0000 part, something expected on a pokémon hatched on HGSS but it doesn't matter if this part is from STARYU or STARMIE since the new name has the same or greater length. Got a Korean Pachirisu off the GTS and it's flagging as being in a Safari ball yet a non-Safari Pokémon. It's from Soul Silver originally where Pachirisu can be caught in the Safari Zone with the use of the Safari Items. Can you give a link to this pachirisu? There it is, everything else is fine with it, I'm assuming the low happiness is because it's a Safari Zone Poke that has then been traded. That's my old Pearl cart, and I have never used an action replay. I caught that Pokemon myself. I think as a Marril, and I think I evolved it, but truth be told I don't pay a lot of attention. It's saying the language doesn't match, but it's in English, Azumarril's English, what's the problem? If it may have had an impact, I made excessive use of My Pokemon Ranch. EDIT: Still adding Pokemon, and this time it's saying my Misdreavus should have trash bytes. I don't understand; I bred this guy myself and his nickname is really long: http://www.pokecheck.org/?p=detail&uid=239442 This guy is from my Black cart. I checked his mother, whom I got in a trade, and she's legal. Thank you for reporting this problem. It has been fixed. Hi, I have encountered a spelling error and a problem. Under language Korean is spelled with a "C" rather then a "K". Also it says that the nickname of my Pignite doesnt match the OT's language but the nickname of my Pokemon is Korean. The Pokemon is legit, in the OT tells you that the characters are not Latin. Same thing with the Nickname. Same problem as my other post the nickname doesnt match the OT's language. it's a hacked PID/IV, so it's hacked to begin with. But it does learn Superpower from level up. It seems there are problems with many corean names. The names used in my database use unicode composition resulting in different unicode strings that represent the exact same name. It's very likely there is the same problem with other pokémon, just make a list of all the ones that show up wrong and I'll fix them. I know about the problem with some alternate form exclusive moves, that will be fixed soon. I've got a question about this Thundurus. It says that it's got an "Invalid PID". 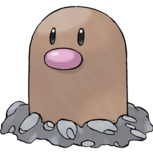 However, since a roamer Pokemon's PID is generated using directly the first 32 bits of the seed, every PID should be possible and legal. Asking at the IRC, they've told me that Pokecheck maybe marks that PID as invalid because it follows a 4th gen PID-IV relationship. However, even if it's really difficult that a 5th gen Pokémon follows the relationship, it's not an impossible thing: it's possible to have any PID, even if having a method 1 PID shows that possibly the Pokémon was generated using pokesav/pokegen. So, is that Thundurus' PID illegal just because it follows the PID-IV relationship? In that case, wouldn't be more logical to say that, even if it can't be proved that it's illegal, it probably is because it follows a relationship that doesn't have to (but not musn't) follow? Gen 5 originated Pokemon won't have a previous gen PIDIV relationship. There's the very very very rare chance it may happen, but chances are it was hacked. Indeed, this PID is flagged as invalid because it is a gen 4 type 1 PID. You can argue it is possible for a pokémon to have an IV spread that matches a type 1 PID but the chance is 1 in 887,503,681 - this is a thousand times less likely that winning a state lottery. When Kaphotics says a very very very rare chance, it's really infinitesimal, you should be more afraid of being crushed by a meteorite than pokécheck being wrong. Move 2 of this Crobat is from an event. I dont know why it shows up as hacked/event only. Same with this Weavile except its for the first 3 moves. It says that this Milotic with the OT VGC09 is a hacked shiny event. Good job so far on your pokemon legality webapp! Hello! My name is Snow Crystal. I just wanted to say that I was checking the legality of a Charizard that I got, and I know it's hacked, just to see what your legality checker said. Well, it said that the Pokéball was legal; it is obtained in a Masterball. As far as I know, there is no legal way to do this, as you either get Charmander as a starter, putting it into a ragular Pokéball, or you breed for one, still putting it into a regular Pokéball. no, it's very possible, because of dreamworld. you can get most starters in masterballs this way. I'm reporting a false positive. This mew was caught on far away island. Which is another way to get a shiny mew. So the legality check says its a hack because shiny mew can only exist in a Japanese emerald game. Well this one came from a UK/US emerald game, and its legit. This kind of problem won't be solve until encounter data is checked for previous gens, which is easier said than done since it requires an exhaustive database not only of all in-game events (starters, fossils, gifts, in-game trades... for all versions of the game since RSE) but also a database of all past events. Furthermore, this would be still prone to errors because the encounter location and level are both lost during transfer to gen 5 which is the main reason encounters are only checked for gen5. The Old Sea Map was never distributed outside Japan. At best when you are checking the PID/IV relationship of wild pokes in 3rd and 4th gen, you can use a database to get a list of encounter slots and min levels. Then whichever slots validate, you can write out those possible locations. Thats how I will do it for legality checker.